Zanu PF faces a major headache following revelations that a number of legislators linked to the Generation 40 (G40) faction are mulling shifting their allegiance to former vice president Joice Mujuru’s National People’s Party (NPP). A well-placed source in Zanu PF told the Daily News yesterday that “dozens” of the party’s Members of Parliament do not feel that they still have space in the ruling party as currently constituted because they are being shunned for fighting against the Team Lacoste faction in the race to succeed deposed president Robert Mugabe. This is despite party leader Emmerson Mnangagwa’s pronouncement that they should not be any retribution against perceived G40 members. As if to confirm these concerns, Zanu PF stalwarts perceived to have links with G40 lost their positions during a provincial coordinating committee (PCC) meeting held in Mashonaland East on Tuesday. Marondera Central Member of Parliament Lawrence Katsiru lost his position of provincial secretary during the PCC meeting that also sidelined Jeremiah Chiwetu (Marondera East) and Beatrice Nyamupinga (Goromonzi South), among other suspected G40 mandarins. This came as Zanu PF’s Masvingo leadership is set to recall from Parliament lawmakers considered allies of former president Robert Mugabe. The list includes Walter Mzembi (Masvingo South), Paul Chimedza (Gutu South), Jappy Jaboon (Bikita South) and Daniel Shumba (Masvingo Urban). Zanu PF spokesperson Simon Khaya Moyo also told the Daily News that the party would not tolerate continued victimisation of G40 members. “We are not going to be doing some work for the opposition and we will not allow people to continue targeting each other when the president has been clear that we should let bygones be bygones. This is an election year so we don’t want anything that will derail our efforts to win this poll,” he said. Notwithstanding his pronouncements, there is no let up among Mnangagwa’s allies who are moving to ensure that G40 legislators are hounded out of the party before primary elections. G40 MPs who spoke to the Daily news on condition of anonymity said the decision to dump Zanu PF would enable them to enhance their chances of coming back to the ninth Parliament after elections. “It is clear that some of us are only being kept in the party to avoid destabilising it otherwise the writing is on the wall for the majority of us that come elections we will not represent Zanu PF again hence it makes sense to decide now where to go to be able to contest the seat. We have a lot in common with Mujuru so that remains an option for some of us,” one legislator in Mashonaland East said yesterday. 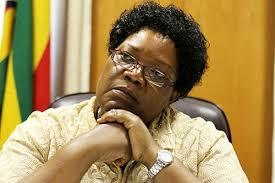 Yesterday, Mujuru’s spokesperson, Gift Nyandoro, claimed there have been massive defections of G40 members to the NPP. He accused Zanu PF –which also claims that NPP officials were rejoining the ruling party— of “stage-managing” the floor-crossing. “The regime is in panic mode because they know they have no idea of turning around the economy hence they have resorted to stage-managing defections that are diluted by massive G40 defections to NPP.